A new peer-reviewed study published on May 22, 2018 in Earth and Planetary Science Letters describes how icebergs can protect themselves from erosion by surface waves. The study was led by Till Wagner at the University of North Carolina, Wilmington. Laurie Padman of ESR was a co-author of this paper. Icebergs from Greenland and Antarctica decay as ocean waves wear them away near the waterline. 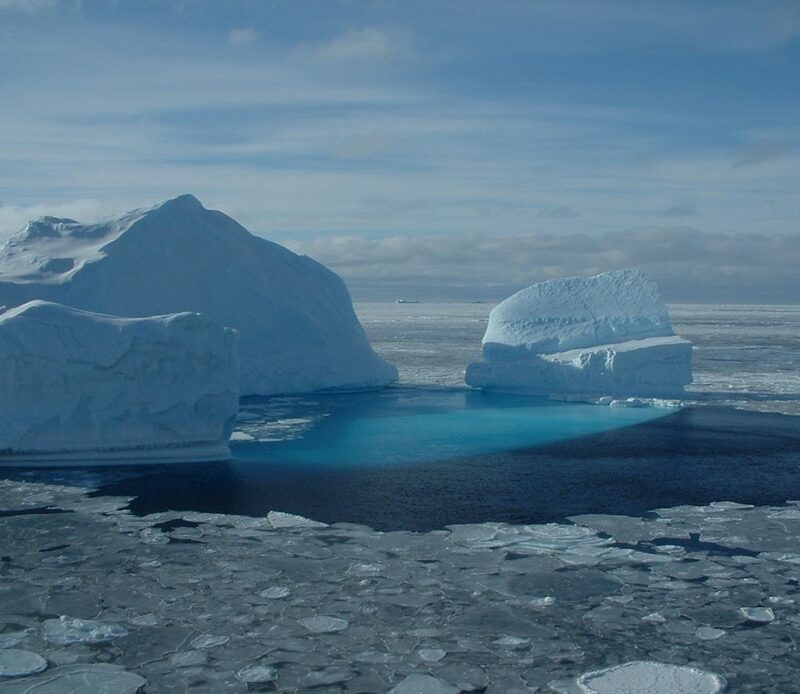 However, cold and fresh water produced by melting ice at the base of an iceberg rises to the ocean surface around the icebergs, producing a stable, buoyant layer. This layer makes it easier for sea ice to form in winter. In turn, this sea ice damps out the waves, reducing erosion and increasing the iceberg’s lifetime. The authors propose that this mechanism helps explain transport of debris from Greenland across the North Atlantic by iceberg “armadas” in a series of “Heinrich Events” during the last glacial period. The full paper is available at https://www.sciencedirect.com/science/article/pii/S0012821X18302772.